Feel Free to Bring your Toys by our facility for a local child in need! Starting December 3rd! We will have great deals on some of our most popular products!!!!! Watch in office or on Facebook (New Life Wellness Center)! Expanding our Hours for your convenience! Still have our late hours Mon-Thurs! Welcome to Live Well Chiropractic! Dr. Mark W. Ford, Jr., Dr. Lance W. Krogh and Dr. Samantha A. Ford specialize in chiropractic care for the entire family. Live Well Chiropractic is committed to relieving your pain using the true principles of chiropractic care. Our Pampa practice is equipped with modern chiropractic equipment and technology. Contact Us today and experience the Live Well Chiropractic difference! With many years of chiropractic training and education under our belt we have treated many patients with conditions ranging from whiplash to scoliosis to herniated discs. We have had stunning success with these conditions and many others. Patients seeking treatment at Live Well Chiropractic are assured of receiving only the finest quality care, because our doctors have a genuine concern for your well-being. 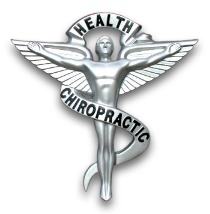 Our chiropractic practice is conveniently located at 701 N. Price Rd. in Pampa, TX in New Life Wellness Center.